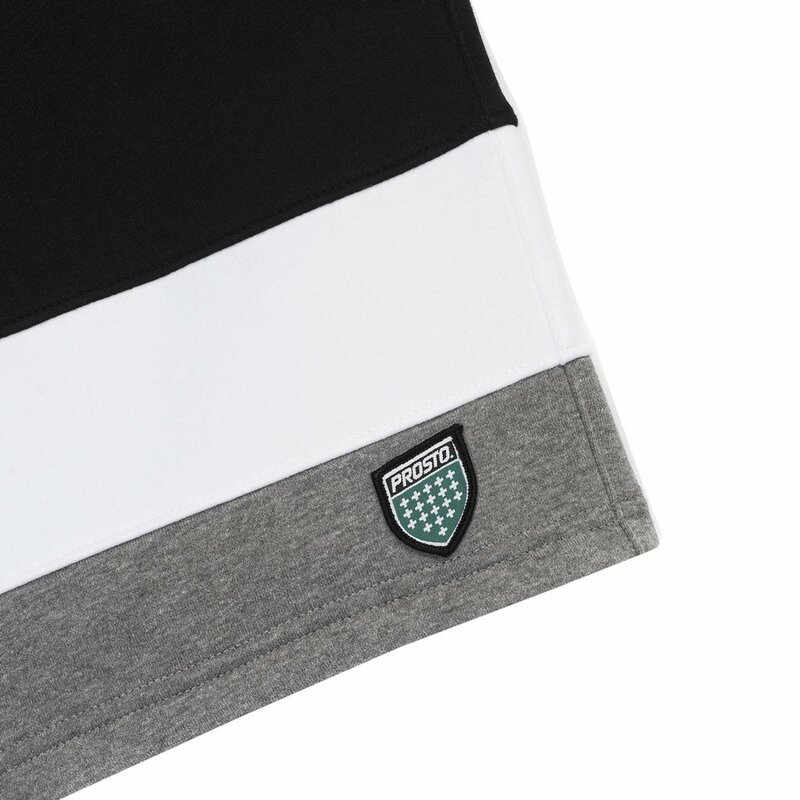 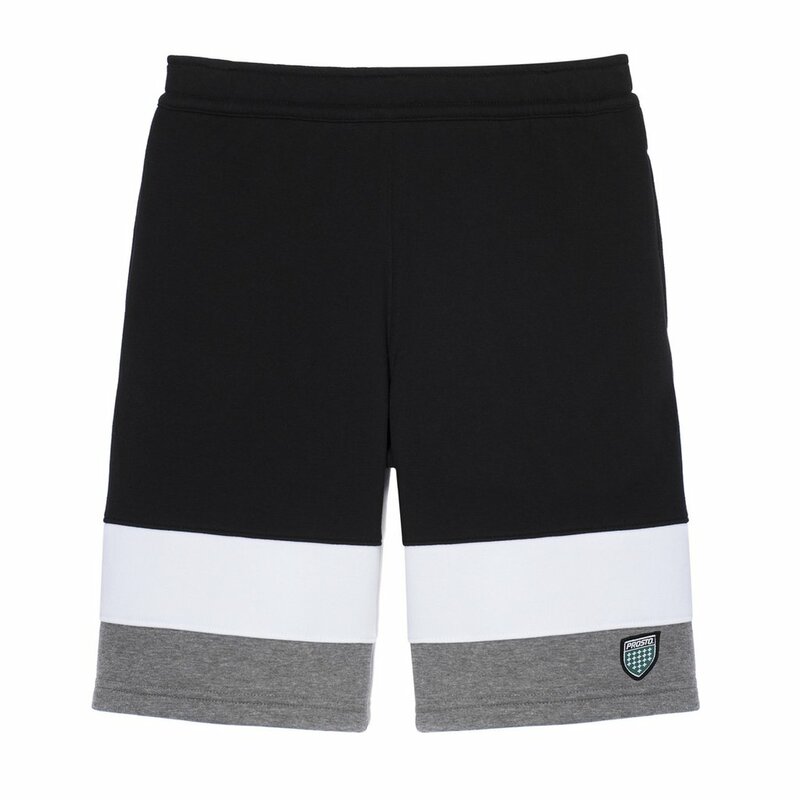 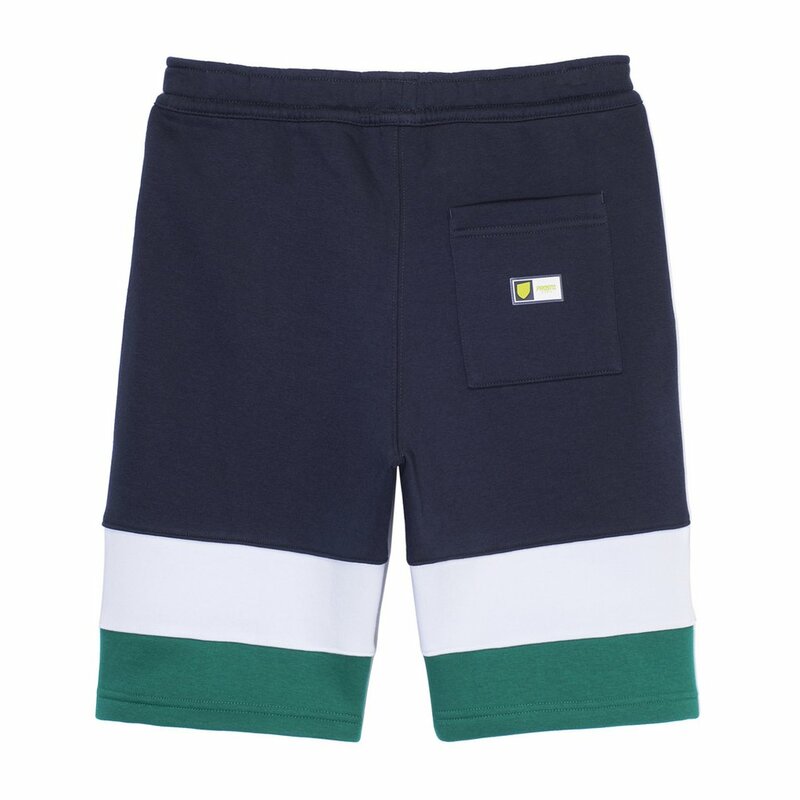 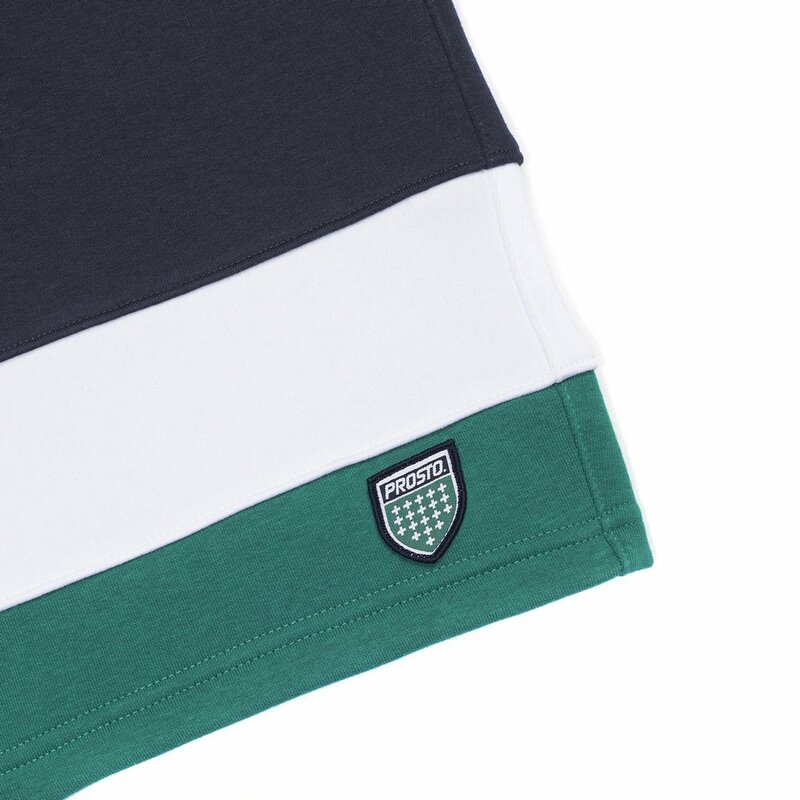 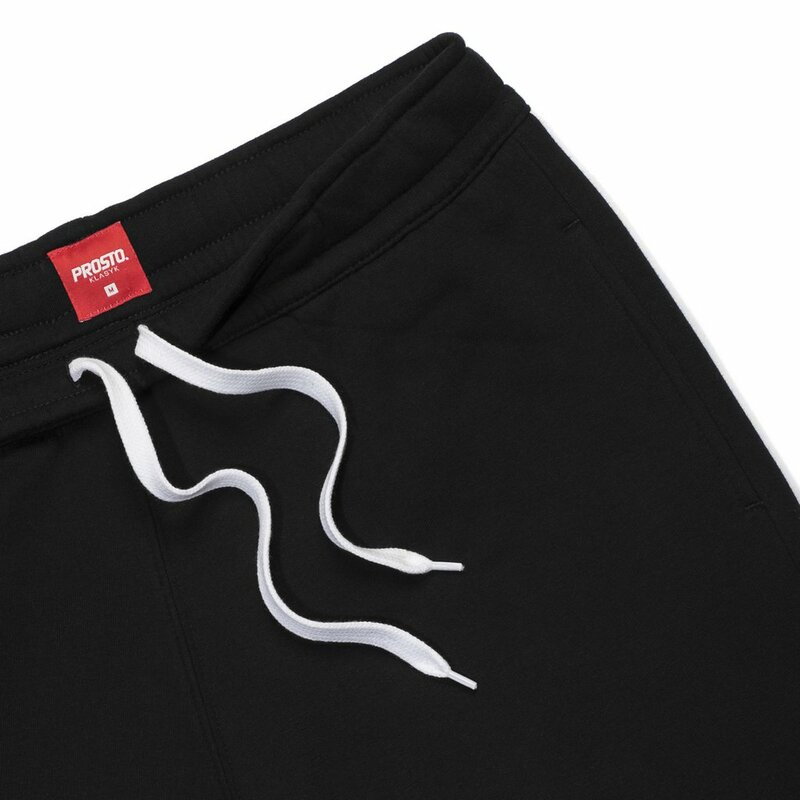 Sweat shorts featuring contrasting inserts. 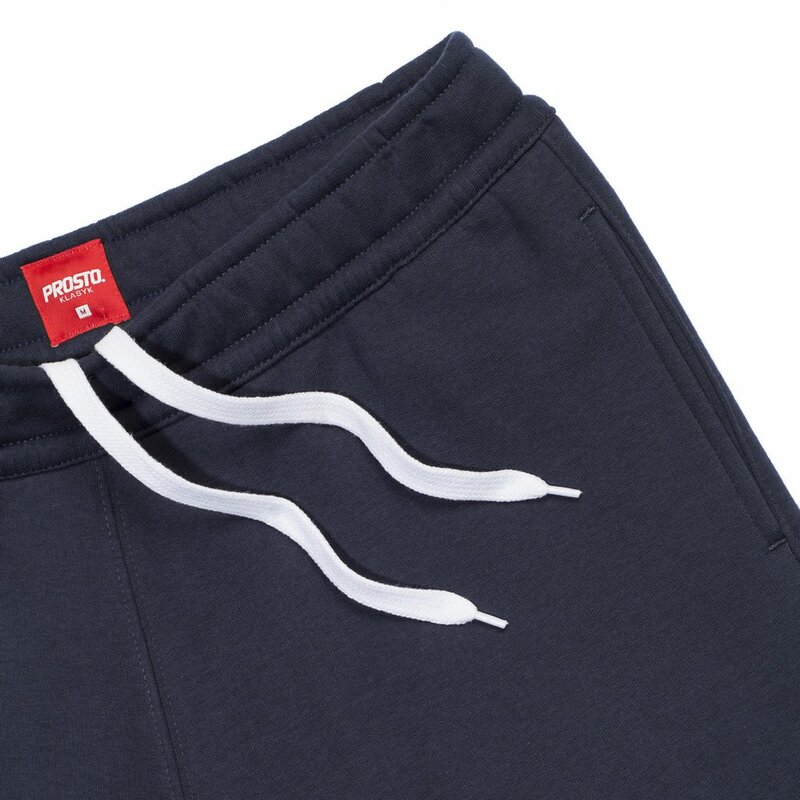 With elastic waist and flat cotton cord. 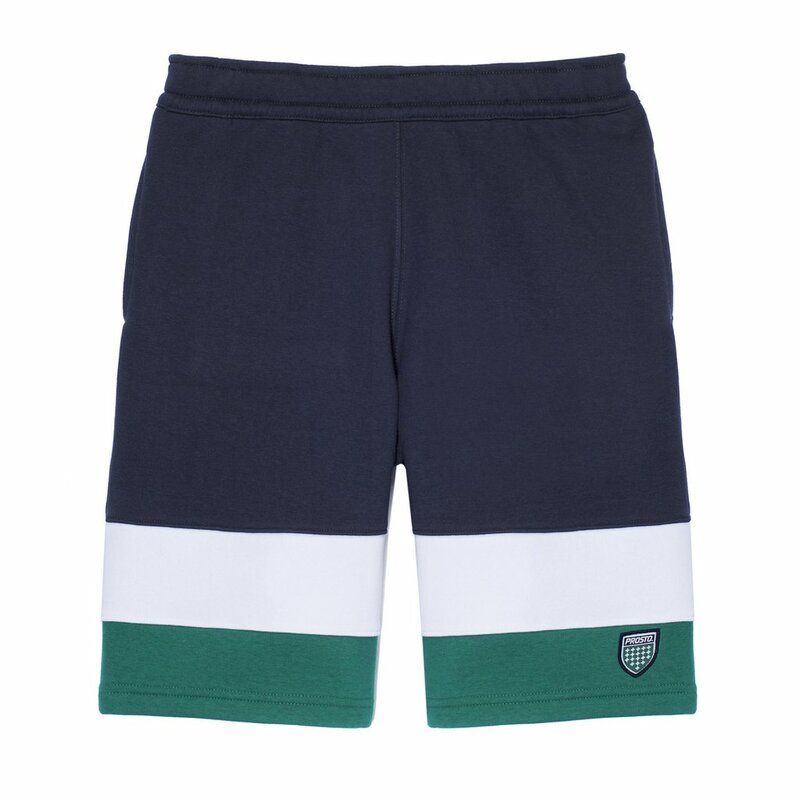 Embroidered logo on lower leg. 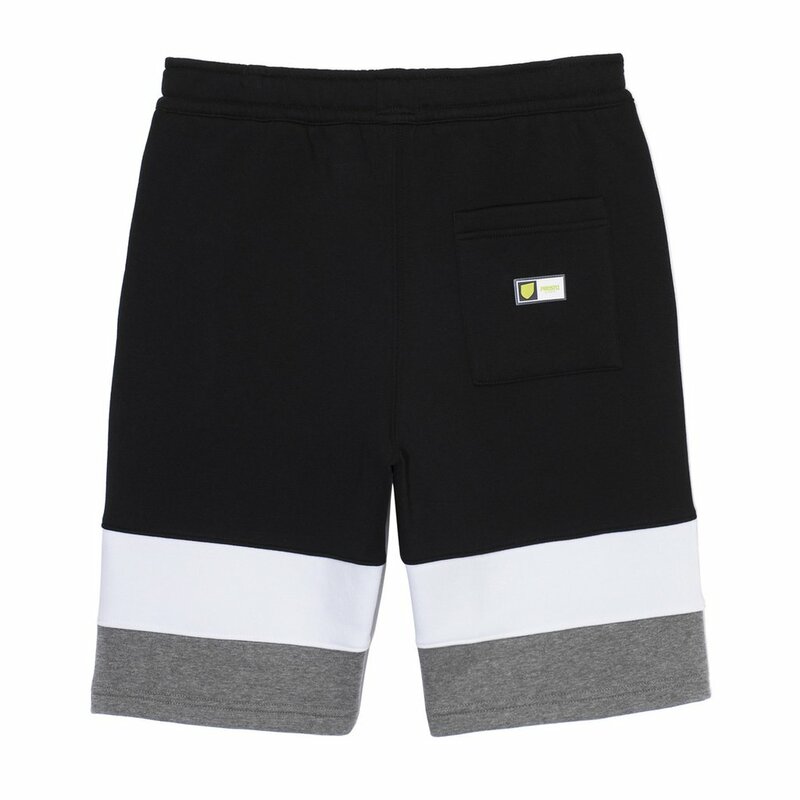 Back pocket with rubberized applique.